For those of you in the Shenandoah Valley, I hope you had the chance to hear this month’s discussion of politics between Andy Schmookler and me that took place this morning on 550 AM WSVA. 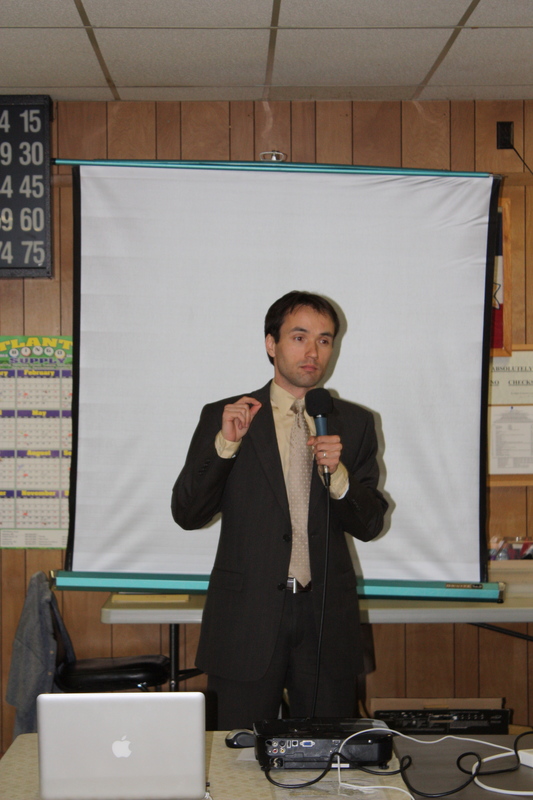 Topics included: Obamacare, climate change, and a few minutes about the ongoing conflict in Syria. If we had more time, I would have loved to delve further into the last subject. However, if you were unable to tune in this morning, you can find the hour-long show at the following link. And remember, if you have a topic that you’d like us to discuss, please send me a message or leave a comment below. I can’t promise that it will come up on the air, but we’ll certainly consider the idea. 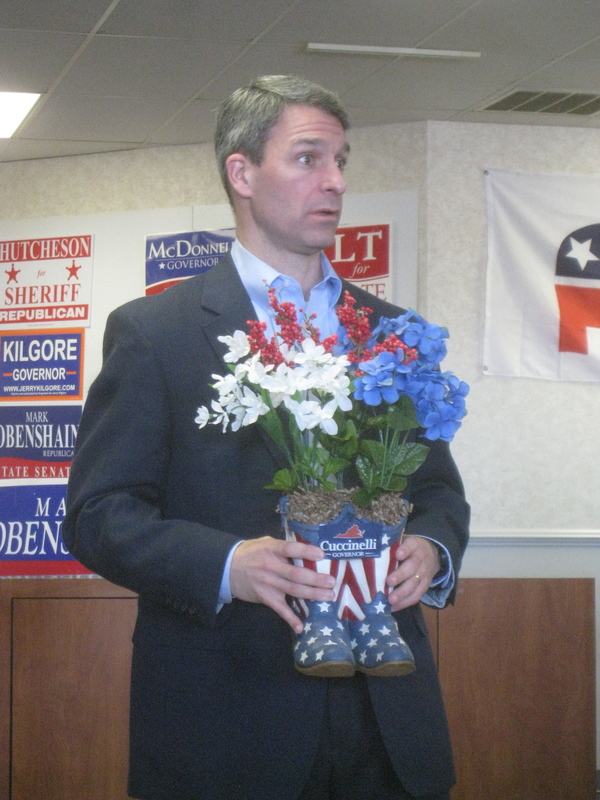 Cuccinelli “So-So” on Gun Rights? Earlier today, I read on Facebook that Ken Cuccinelli was given a “so-so” ranking by the Virginia Citizens Defense League. Curious, I called the folks at the VCDL to ask about Cuccinelli’s score. I was told that in previous campaigns Ken gave very pro-gun answers and although he still completed a somewhat pro-gun rights survey, he attached a multitude of qualifying statements to his answers that troubled the folks at the VCDL and thus earned him a “so-so”. It doesn’t come as any surprise that the three Democratic candidates did not answer the survey and that the other two Republican candidates, E.W. 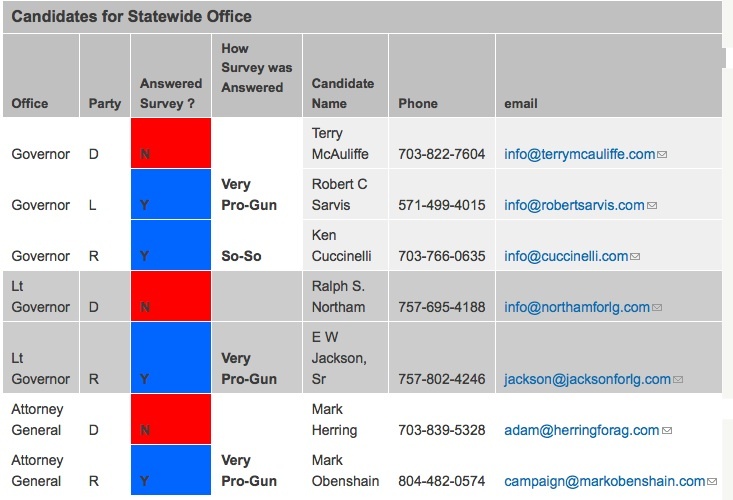 Jackson and Mark Obenshain, have been labeled “very pro-gun” by the VCDL. But, the Cuccinelli score is shocking. However, as you will note according to the VCDL, there is a very pro-gun candidate on the ballot for governor, the Libertarian Robert Sarvis. Although the specific responses of each of the candidates will not be available until several days before the election, is this news another misstep for the Cuccinelli campaign that will have ramifications come November? It seems likely. 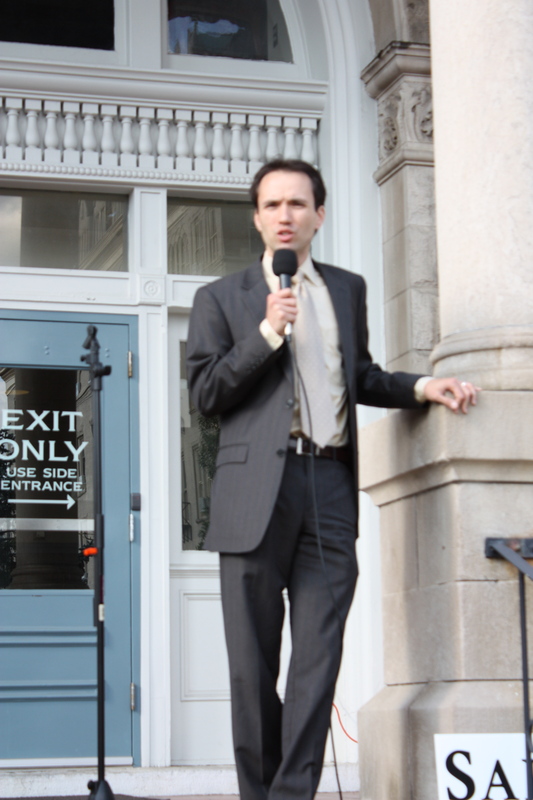 Lately, many of you may have noticed that I have been writing a good deal about Robert Sarvis, the Libertarian candidate for governor of Virginia and are likely wondering why. Well, although I believe Ken Cuccinelli has done many great things for our state during his time in public service, I also firmly believe that his campaign is proceeding in a terrible direction, one that has succeeded at not only alienating considerable numbers of traditional Republicans, but also undecided voters. They are poisoning our politics and they are poisoning the GOP. Now, unlike some Republican strategists, that doesn’t mean that I’d like to see Terry McAuliffe win. My principles have not changed. However, these developments have caused me to look in new directions and thus I have decided to lend my efforts to the cause of Robert Sarvis. I’m sure that many of my Republican friends will be left scratching their heads at this news, confused, angered, or perhaps a little of both, so let me take a few moments to explain more fully how I came to this decision. It all started about two months ago when I wrote an article expressing my deep disappointment in Ken Cuccinelli’s outright refusal to include Libertarian candidate Robert Sarvis in the gubernatorial debates. To me, political dialogue is one of the great hallmarks of our system of elections and while I support any effort to promote discourse, I equally oppose any attempt to stifle it. I have seen too many candidates of a variety of political persuasions denied the chance to express their viewpoints, chances that they ought to have had. For example, Libertarian Gary Johnson, Constitutionalist Virgil Goode, and Green Jill Stein were all excluded from the presidential debates in 2012, despite the fact that they were listed on the ballot in a majority of states. Previously, Gary Johnson was also barred from a majority of the Republican debates, which, no doubt, played heavily in his decision to switch from the Republican to the Libertarian Party banner. Earlier that year, my representative, Bob Goodlatte refused to debate his primary challenger, Karen Kwiatkowski. Previously, in 2010, Bob Goodlatte snubbed the JMU debate group by not attending a debate with his two third party opponents, and, perhaps most importantly, back in 2007 & 2008, Ron Paul was repeatedly excluded from attending the GOP presidential debates by the mainstream media. The simple fact is that if candidates do not have a level playing field, either as a result of media bias, party bias, or candidate bias, then a whole subset of views can easily be erased from political landscape, either inadvertently or maliciously. As a result of this concern, I contacted the group Free & Equal in the hopes that they would be able to remedy this problem. If you recall, Free & Equal hosted a third party debate between the various 2012 presidential contenders, an event that I applauded as it expanded political discussion. Although it would be easy for me to simply sit on my blog and grouse on the injustice of excluding Robert Sarvis, I realized that I could do more, much more than simply write about this issue. I have been directly involved in political campaigning for more than half of my life, since the age of 15, and have a wealth of experience and knowledge that I could use to help set this wrong right. I have been trained by both the RNC and the Leadership Institute and have served multiple campaigns over the years. Not only could I act, I felt that I had to act. After all, if I had the ability to make a change and did not, I would be just as responsible as those squelching political dialogue. But what should I do? While I thought more about this matter for a few days, I reflected upon the tactics of the Cuccinelli campaign and was, quite frankly, appalled. My inbox overflowed with press releases and they were all the same, lambasting Terry McAuliffe over some issue (both legitimate and trivial stuff) without offering any positive message about Ken Cuccinelli. As I wrote on August 7th, “it is as if they are blindly throwing darts as fast as they can, hoping that at least one will hit the board.” I contacted the Cuccinelli campaign several times with my complaints but was completely ignored. I had reached a breaking point. The excessive negativity of the Cuccinelli campaign coupled with their hypocritical complaints that Terry McAuliffe refused to debate while simultaneously working to exclude Robert Sarvis was completely unacceptable. 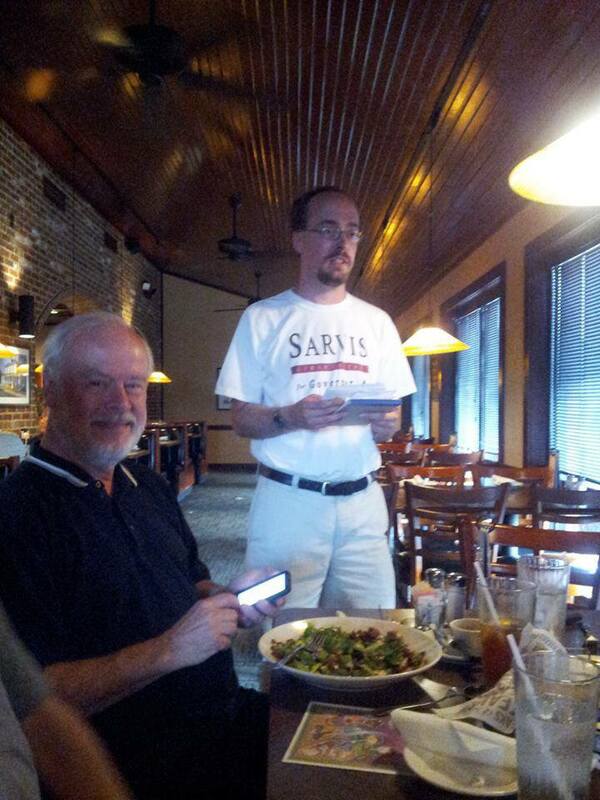 Therefore, I contacted Robert Sarvis to see if and how I might be able to serve his campaign. Although the vast majority of my campaign experience has revolved around grassroots organizing, I was told that the campaign’s greatest need was in fundraising. Fundraising is certainly not my forte and only something in which I dabbled in previous campaigns, but, as it is what they needed, that task is what I agreed to do. As the campaign progresses, I hope I will have the opportunity to serve in other ways as well. First, I constantly feel a strong desire to promote the ideals of liberty and my political principles. Ideally, I express these principles through my employment, and working for the Sarvis campaign allows me to do so once more. Second, I am a person who appreciates being valued. I regret to say that although I’ve devoted considerable time and energy to my party and its candidates over the last eighteen years, those currently leading the various campaigns and the party have done a pretty darn good job of ignoring me for quite some time now, in much the same way as Robert Sarvis has been ignored (though that seems to be changing!). Although I’ve only been with the Sarvis campaign briefly, I will admit it is nice to be reminded that my efforts are respected, not simply taken for granted. Third, I am still on the lookout for a fellow liberty-minded woman with whom I can share the great adventures of life. It is possible that through this effort I will find this person. Fourth, as I’ve gotten to know Robert Sarvis through our discussions online and in person, I must say that I am quite impressed by his knowledge, experience, passion, and dedication to the principles of a limited state and federal government. He offers a vision that is quite appealing to libertarians and conservatives. He is a voice that must be heard. As I said at the beginning, politically and personally, I still like Ken Cuccinelli quite a bit. After all, he was the only statewide candidate I endorsed in 2009 and should he win this year, I believe that he will serve Virginia well. However, we are setting the stage for something that will transcend the outcome in November and that thought worries me greatly. The Cuccinelli and McAuliffe campaigns are charting a course that will likely damage political dialogue in this state for years to come. I have been seeking to build bridges and find common ground between like-minded folks, be they Republicans, Democrats, Libertarians, or a multitude of other political affiliations, while they both seem to promote an “us against them”, scorched earth mentality. Over the last several weeks, I have spoken to several fellow conservatives and libertarians who have silently pealed away from the Cuccinelli campaign for many of the same reasons and, assuming the campaign continues to degenerate, I expect more to follow in the days to come. We must resist living in a political world dominated by hatred and fear. 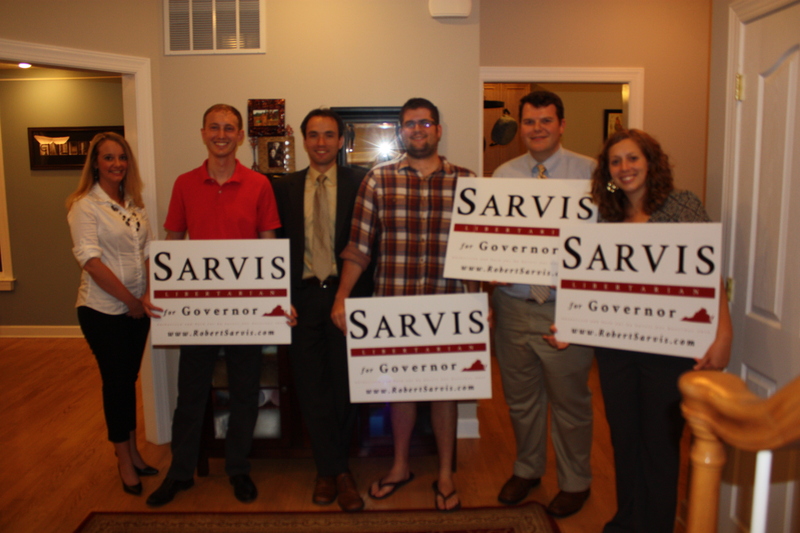 It is time for a new direction and I feel honored by the opportunity to assist the Sarvis campaign in their effort. So, do you agree with me that political dialogue needs to be expanded? Are you sick of the extreme negativity? Do you believe that citizens throughout this great Commonwealth need to know about of all of their choices, that they should have the opportunity to discover Robert Sarvis? And, if your answer to any of these questions is yes, will you to head on over to the campaign website and donate $100, $50, $20, or whatever you feel is appropriate? After all, as I’ve mentioned, funding is still the campaign’s greatest need. After doing so, please send me an email or leave a comment below so that the campaign will know that I’m out there doing what I can to fundraise on their behalf. Let us continue to advance liberty in all things! Last week, Robert Sarvis, the Libertarian candidate for Governor of Virginia, made a multitude of stops here in the Shenandoah Valley. Although the local paper, the Daily News Record, has not yet published a story of his visit, to follow is a short account with pictures. All in all, it seemed be a successful visit. During my time following Mr. Sarvis through the various cities and counties in the central valley, I heard quite a few residents mentioning that they had heard of his impending visit in an earlier article. Even more spoke of their general displeasure of both of the major party candidates. Perhaps as the viciously negative campaigning continues unabated, coupled with his recent endorsement by former New Mexico Governor Gary Johnson, more Virginia voters will look Robert Sarvis’ way. 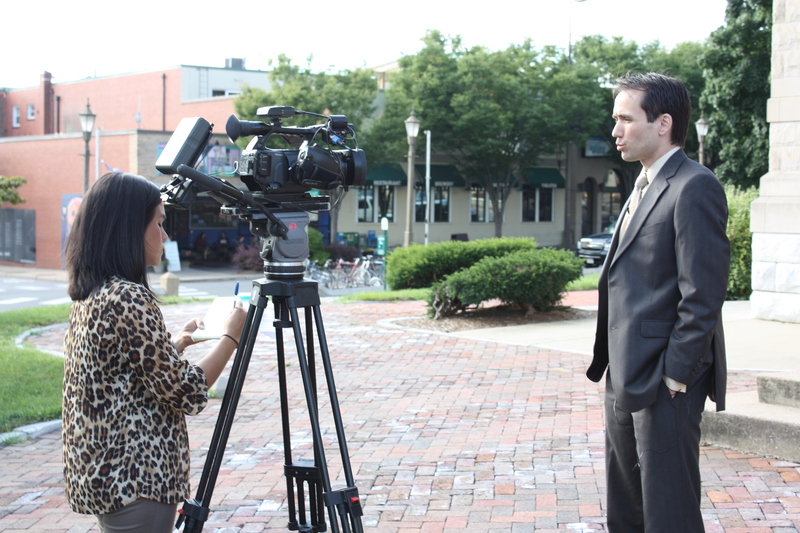 Then, he spoke on the steps of the Rockingham County Courthouse. That evening, he traveled to Rockingham County to visit with city and county residents at the home of a local supporter. 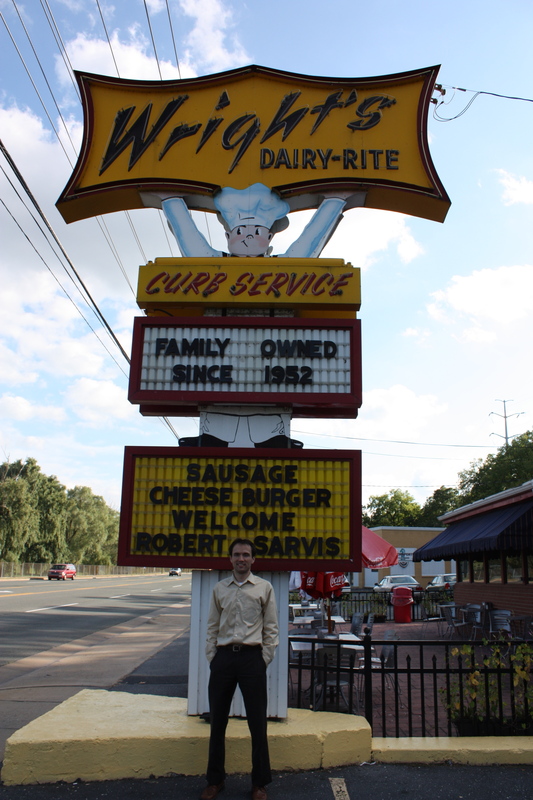 On Thursday, Wright’s Dairy Rite welcomed Robert Sarvis to Staunton. 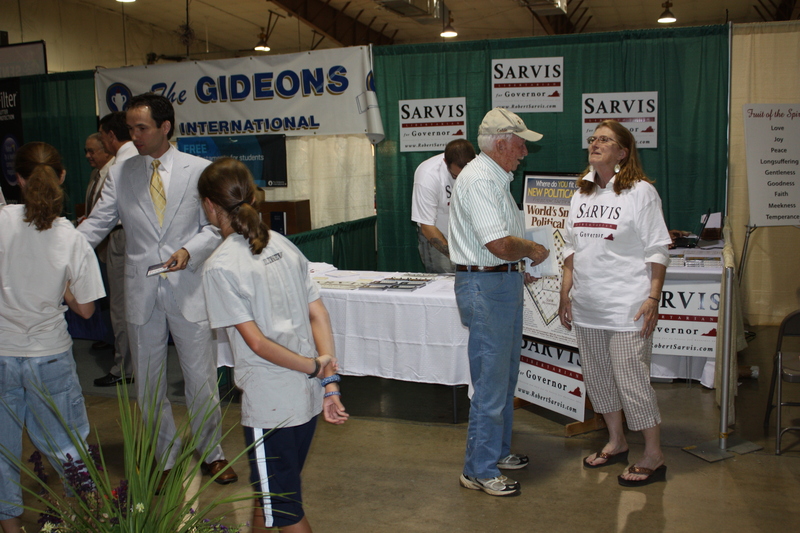 Mr. Sarvis speaking with the Staunton Tea Party that evening. Supporters working the Libertarian Party booth at the Rockingham County Fair on Friday. This week, Libertarian gubernatorial candidate Robert Sarvis will be making a multitude of campaign stops in the central Shenandoah Valley. These events mark his first trip to the area since securing the party’s nomination back at the Waynesboro convention in April. 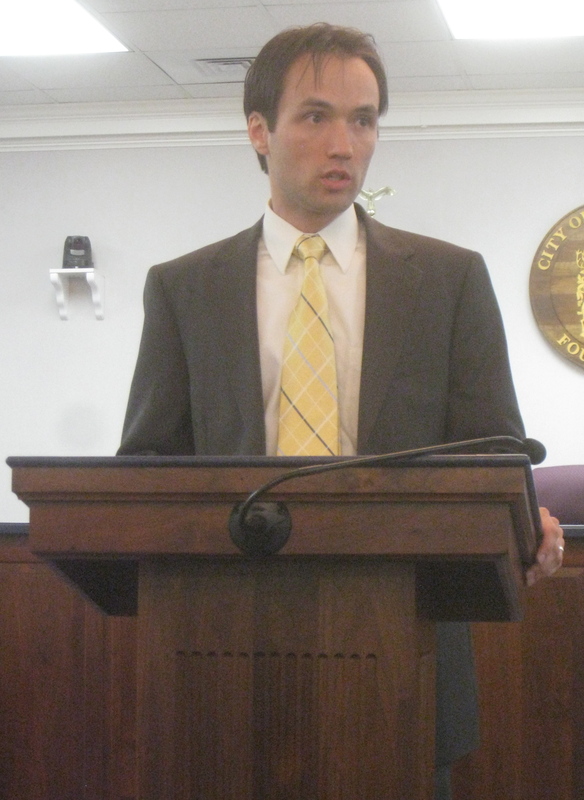 First, on Wednesday, August 14th, Sarvis will give a speech on the steps of the Harrisonburg/Rockingham County courthouse beginning at 5:30 PM. From there, he will travel to a meet-and-greet at the home of a local supporter who lives just west of the city. Then, on the following day, he will converse with voters at Wright’s Dairy Rite in Staunton from 4 PM to 5 PM. Wrights’, for those who don’t know, is a 1950s style burger and milkshakes diner that has been in operation since 1952 and is located at 346 Greenville Avenue. Afterward, starting at 6:30 PM, Robert will address the Staunton Tea Party. These days, the Staunton Tea Party holds their monthly gatherings at the VFW on 212 Frontier Drive. 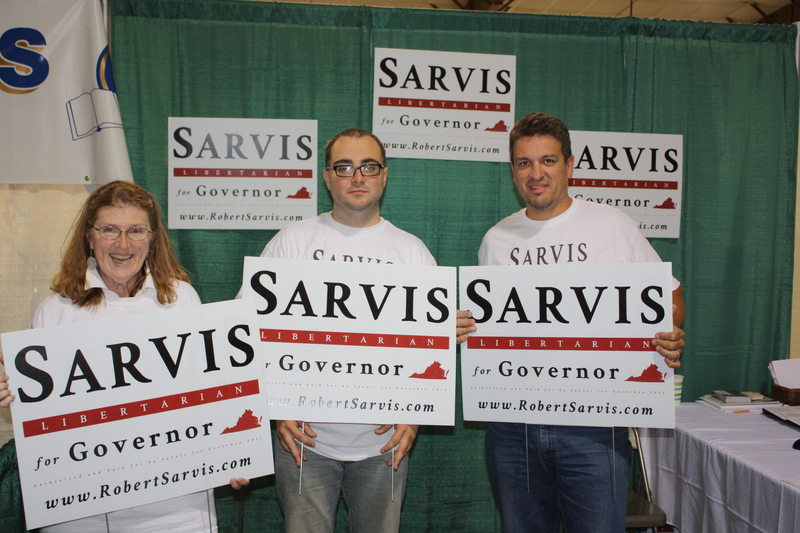 Lastly, on Friday, Robert Sarvis will tour the Rockingham County Fair for a good portion of the day. This year, the Libertarian Party has a booth alongside the Republican and Democratic Parties. As the 2013 election season begins to kick into high gear, it should be interesting to see how many times the various statewide candidates visit the Valley. Only a few weeks ago, E. W. Jackson held a particularly successful fundraiser on the campus of James Madison University. With both Rockingham and Augusta Counties being typically among the most Republican (if not the most Republican) localities in the state coupled with cities like Harrisonburg and Staunton, which have been trending Democratic in recent years, the area provides a variety of political opinions and perspectives. And, given that none of the statewide candidates have opened up a considerable lead in the polls thus far coupled with the relatively untested variable of the Libertarian Party and Robert Sarvis, politics in this part of the state might be a bit more entertaining than it has been in previous cycles. On the typical day, both the Cuccinelli campaign and the Republican Party of Virginia send out a multitude of press releases. For example, when I opened my email this morning, I had already received four, one at 8:00 AM, another fifteen minutes later, a third at 9:30, and the most recent at 10:45 while I was writing this piece. Each topic bore a similar theme to the multitude dispersed weeks and months prior. Today’s headlines read, “McAuliffe Biggest Obstacle Seems to be Himself”, “Terry McAuliffe’s Payday Lending Double Standard”, “McAuliffe’s Sales Pitch Starts to Sour”, and “Breaking: McAuliffe’s GreenTech courted Obama’s Solyndra aide”. For comparison, yesterday’s titles include: “Hardly Recognizable McAuliffe”, “Editorials Across Virginia Focus on the SEC Investigation Surrounding McAuliffe’s GreenTech”, “Meet McAuliffe’s Environmental Sugar Daddy Tom Steyer”, and “ICYMI: New TV Ad Scandal”. Notice a theme? Not a single email is centered on Cuccinelli’s record in public service, either as a state senator or as our sitting attorney general. Instead, each seeks to degrade, demonize, or question the ethics of Terry McAuliffe, Cuccinelli’s Democratic opponent for governor. Don’t misunderstand the point of this opinion piece. I firmly believe that negative campaigning serves an important purpose when used constructively and in moderation. Some Republicans cried foul when Jamie Radtke attacked George Allen during the 2012 Republican Senate primary. However, she didn’t just simply criticize Allen, but offered a contrast how a Senator Radkte would differ from a Senator Allen. These Cuccinelli pieces are different. They offer nothing positive other than to suggest that voters ought to elect Ken simply because he is not Terry; that McAuliffe is so ethically challenged that anything or anyone is a better alternative. Although I haven’t watched each race as closely as this one, as someone who has followed politics for 19 years, I’ve never seen anything quite like the tactics that the Cuccinelli campaign and the RPV is employing. For at least a month previously, the Cuccinelli campaign harassed (and yes, harassed is a good word for it), McAuliffe to release his tax returns. As far as I know, a person’s tax returns are his or her own private business and aren’t required to be released when he or she runs for public office. Many people within the Cuccinelli camp argued that if McAuliffe had “nothing to hide then he would have nothing to fear”. Even though politically useful in this situation, that line of thinking is exceedingly dangerous and works to further erode the privacy rights of our citizens, especially future office seekers. As a conservative, I believe that Ken Cuccinelli has made many laudable accomplishments during his time as attorney general. However, I am absolutely disgusted by these daily messages, especially the constant barrage from the RPV, seeking only to deride Terry McAuliffe even further. It is as if they are blindly throwing darts as fast as they can, hoping that at least one will hit the board. No. The ends do not justify the means. Who’s to blame for all of this excessive negativity? Is it Ken Cuccinelli? Cuccinelli’s staff? RPV Chairman Pat Mullins? Or is it someone else within the state party? To be fair, a majority of these emails come from the Republican Party of Virginia. However, I suppose it doesn’t matter, for as long as these messages continue without being denounced by Ken Cuccinelli, all are complicit. Given the tone the campaign has taken thus far, I suspect it won’t be too long until we start seeing ads like Elizabeth Dole’s completely outlandish attack against Kay Hagen in 2008. I don’t know about you, but I’ve reached a breaking point. I’m on the verge of non-discriminately trashing everything the Cuccinelli campaign and the Republican Party of Virginia sends out. This unconstructive, unrelenting negativity has to end!